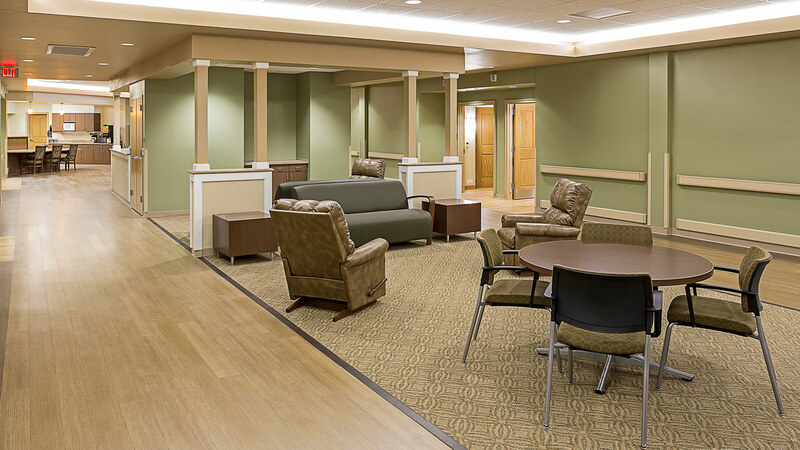 Since the late 1800s, the South Dakota Veterans Home campus has provided care for our veterans with minimal updates to its facilities. 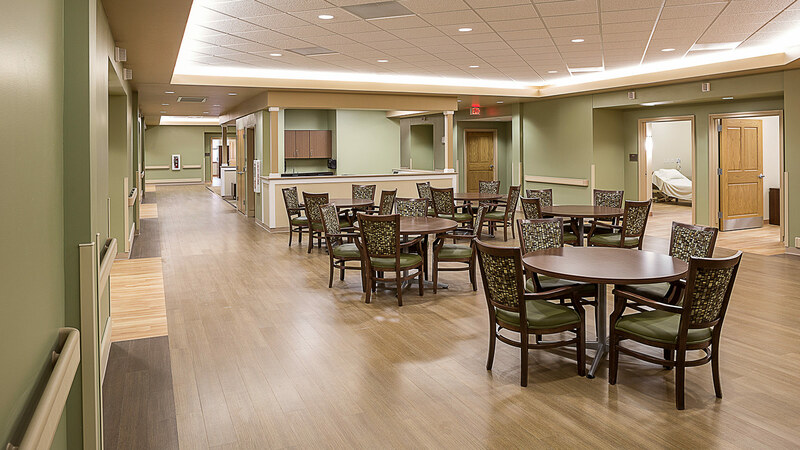 To meet this group’s diverse and evolving needs, the Department of Veterans Affairs in 2011 endorsed a person-centered care model, using household and neighborhood concepts to serve the needs of veterans. 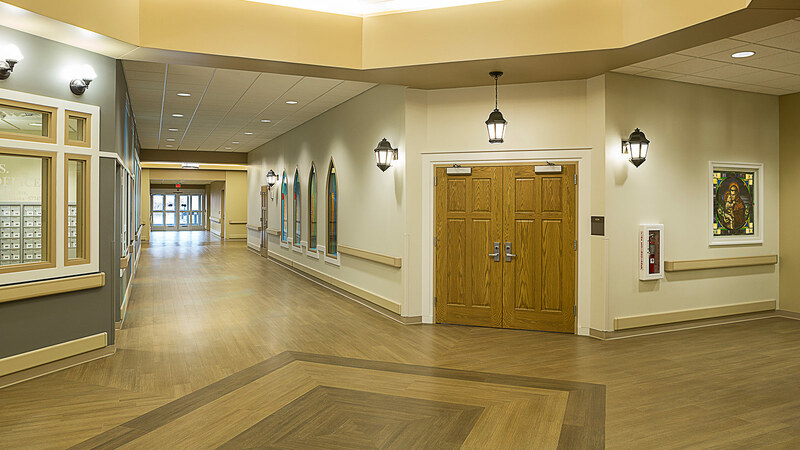 TSP and strategic partner RPA Design worked with stakeholders to create a design that meets the current and future needs of the South Dakota Veterans Home. Our team’s Architect and Project Manager met with authors of the Community Living Design Guide authors in Washington, D.C. to ensure an understanding of the model’s intent. 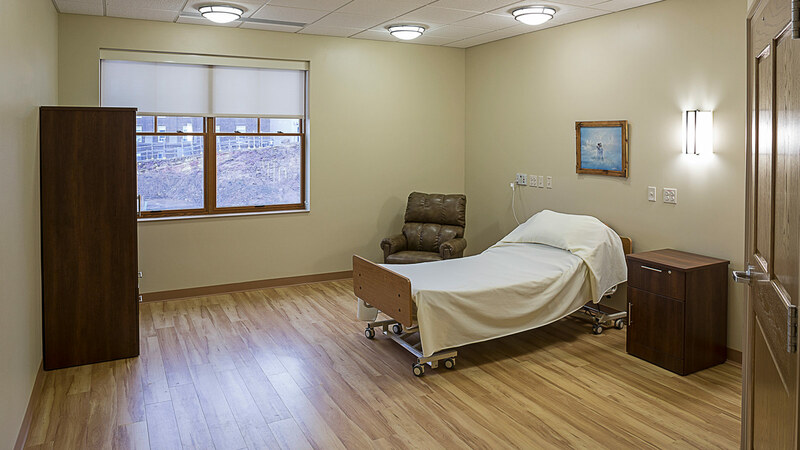 The result is a 100-bed, 130,000 sf facility that is heavily influenced by the small-house philosophy and resident-centered approach to delivery of care. Each of the eight neighborhoods or “households” has 12 residents and is designed with a home-like environment. 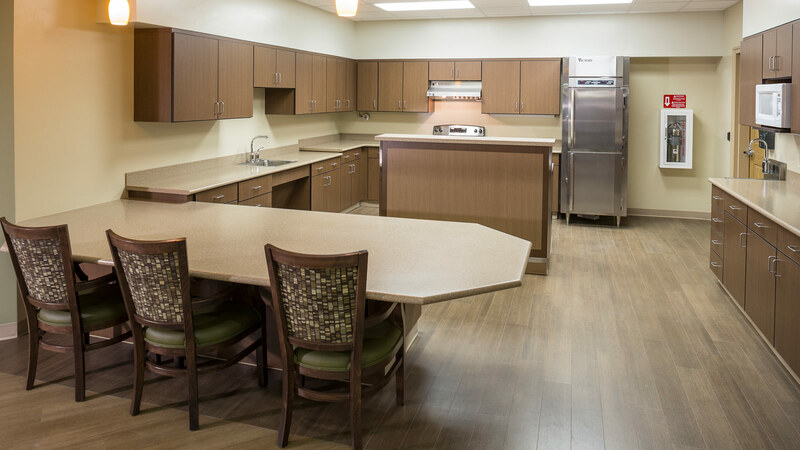 Residents have private rooms, and every household has its own entry, lounges, laundry, family-style dining room, and activity spaces. Caregivers focus on serving specific households to better cater to residents’ needs while fostering personal care relationships. 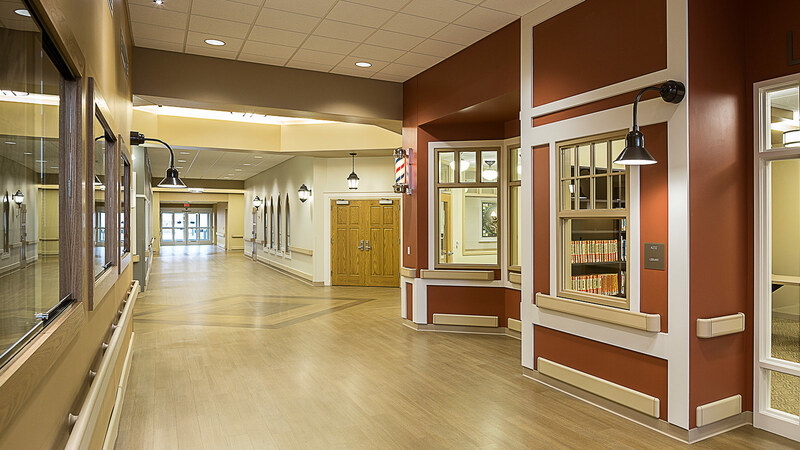 The Community Center, adorned with a main street character, provides access to shared health, well-being, social, and retail services including a library, café, theater, chapel, post office, general store, therapy areas, large-group activity space, and dining conducive to social gatherings. 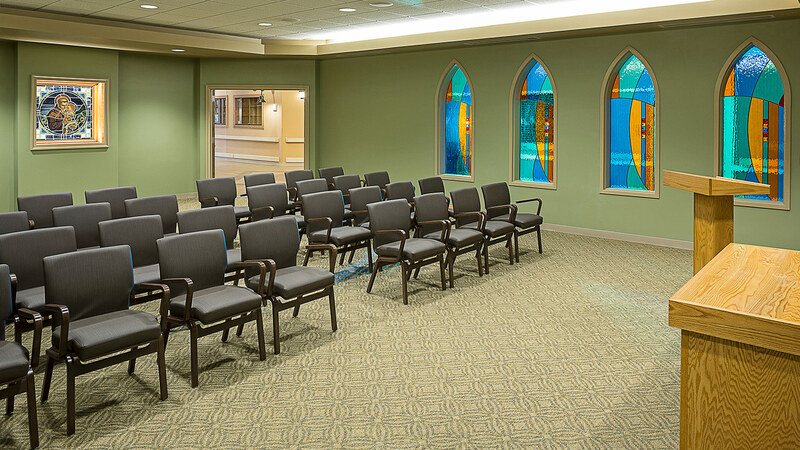 It opened to residents in January 2016. 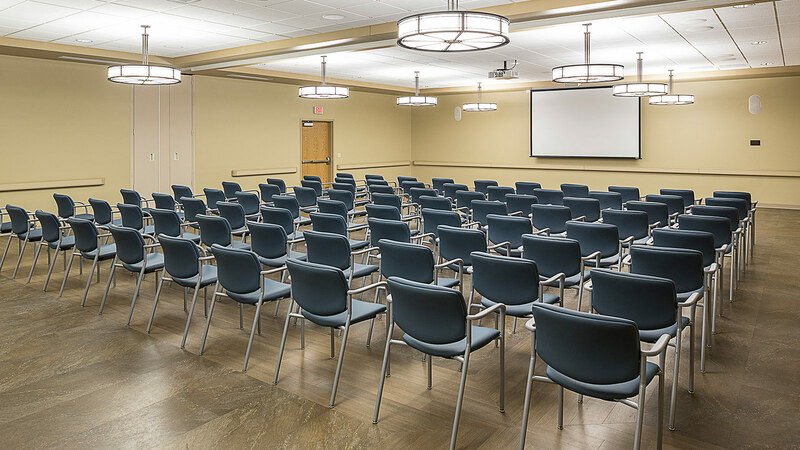 The two-story design solution evolved to help address site concerns in Hot Springs and also proved to be a more economical design solution. 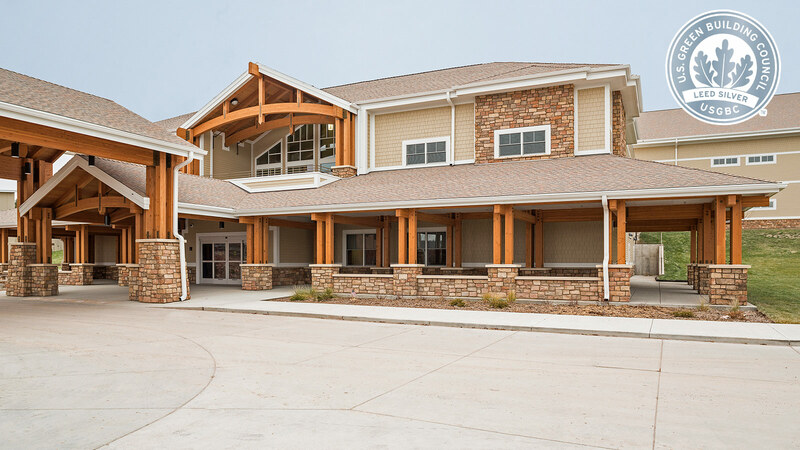 In collaboration with West Plains Engineering, TSP’s design includes a biomass boiler plant that uses wood shavings and other waste materials from sawmills and other logging-industry sources throughout the heavily forested Black Hills region. A 1,250 kw generator provides emergency power.